With today’s advanced technology, a purposed built system designed to automate a process is often comprised of hardware, software, and firmware, and cash recyclers are no different. Historically, and in many cases even today, software for advanced solutions has often lacked in consistency and reliability across varying hardware platforms. Many hardware options have required multiple software stacks to be implemented, often from different suppliers. This approach lends itself to more complexity, longer deployment times, additional training and onboarding, and higher maintenance costs over time. For clients requiring a diverse set of cash recyclers based on differing needs, many have had to choose from multiple suppliers offering differing solutions, both from a hardware and software standpoint. This dynamic has led to deployments that have been more involved and expensive than necessary. The Tidel TR Series of cash recyclers was designed with a different approach in mind. 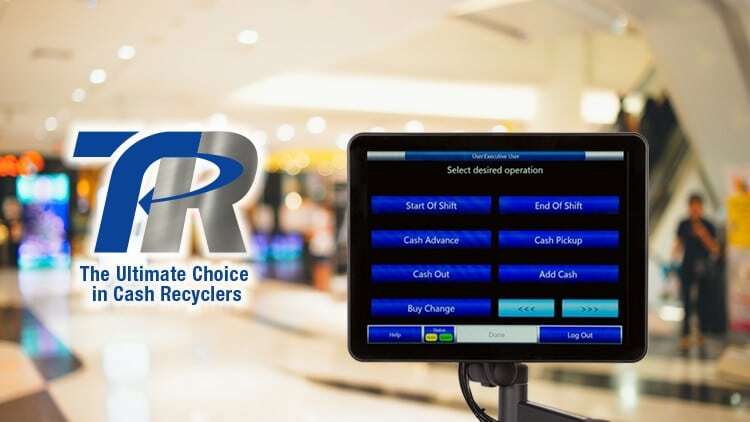 The TR Series software platform was developed in-house by Tidel’s team of advanced software engineers with the goal of providing a common software platform for its entire portfolio of note and coin recyclers. As opposed to designing separate software solutions for each hardware option, utilizing a universal platform allows Tidel customers to save time and money, while opening up new opportunities for usability, maintenance, and upgrading. It is, by far, the most advanced software suite in the industry. Many benefits can be derived by using a common software platform in an advanced, automated solution such as a cash recycler. Primarily, it makes ease of use a top priority, requiring users to become familiar with just one interface, which can then be sourced across all their coin and note recyclers. From a store operations standpoint, software commonality also enables both the training and process development to be much simpler for everyone involved. Software commonality enables stores to roll out common processes across their entire store footprint, meaning they don’t have to bifurcate between departments simply because they are forced to use different solutions. The remarkable flexibility of the Tidel TR Series enhances its practical usability. With a plug and play design, the TR Series of note recyclers can interoperate with a suite of Tidel coin recyclers that can be purchased after the initial system has been set up, meaning that customers can easily scale their currency processing requirements as their needs change over time. Having a common software platform alleviates the worry in wondering if a system will seamlessly operate with an existing set up. The TR software can also be customized and personalized, with the capability to assign certain access rights to different departments or registers. These rights can also be easily modified later, allowing the system to evolve based on changing customer needs. The Tidel TR’s software interface was developed with reliability and ease of use as a priority. The built-in system dashboard provides real-time status indicators for all key components, allowing users to quickly identify and address any potential issues before they become critical. Furthermore, to maximize system uptime, Tidel also provides remote support to ensure its deployed recyclers are operating at peak performance. No longer do customers need to buy and learn a new software program for each of their cash and coin recyclers, or face the daunting task of learning an entirely new system simply due to the fact they’re experiencing higher cash volumes in certain stores. With the Tidel TR Series, customers have access to the widest range of note and coin recyclers in the industry, covering the broadest spectrum of performance and capacity requirements, all powered by one common, easy to use software platform. To learn more about Tidel’s TR cash recyclers and the software that powers them, please visit www.tidel.com/recyclers today.